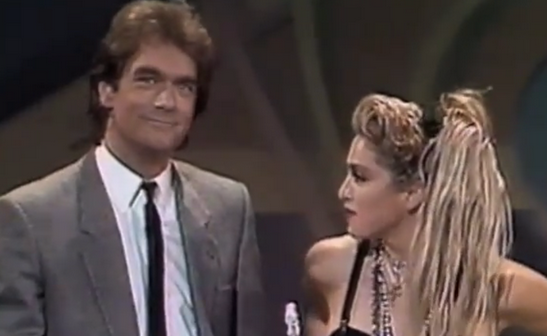 The title of this YouTube clip may be "Madonna Live from The American Music Awards, Los Angeles 1985" -- and sure, it's great to see the Material Girl in all of her pre-Gaga glory -- but the following might as well be called "Look How Racially Insensitive The AMAs Were 28 Years Ago." Really? Was there no other way to describe a genre of music that was inherently pop? And sure, you may also find Purple Rain beating out Thriller just as offensive.